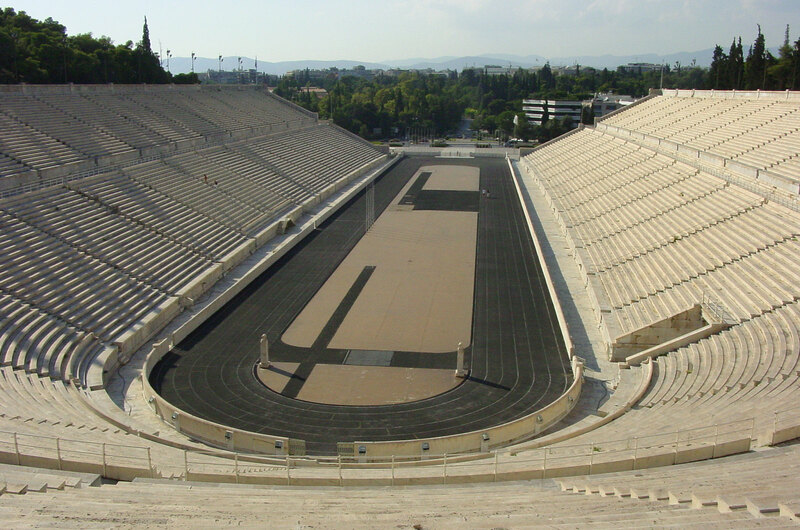 The Kallimarmaro is the only major stadium in the world built entirely of white marble. The orginal stadium with wooden seats was built in ca. 566 BC and rebuilt in marble in 329 BC. The well known Herodes Atticus enlarged and renovated the Panathinaiko Stadium in 140 AD. The stadium gained a capacity of 50.000 sitting people.